h. ala replied to El Presidente's topic in Cigars Discussion Forum "the water hole"
Probably the cheapest and ugliest lighter I have. Still it’s what I always use, never disapoints and after 8 years it still spits fire relentlessly. This week in cigars: Montecristo tubos 01 I think. Siglo III 15 Partagas Senior Coronas 15 Bolivar PC 16 All delicious. Oliva Serie V Belicoso 2017 I have less than 50 NC, this is one of them. I like a Oliva or a Padron once in a while when I feel feed up with CC. This was the last one from a 5-pack I bought from a BOTL. The cigar is perfectly rolled, firm and with a near perfect wrapper. The cold draw is spicy, peppery and a bit hearty (abundant, rich, or flavorful enough to satisfy the appetite). First third is a blast of pepper, chili and that shallow, straight forward, strongness I usually find in nicaraguan cigars. Jacked up coffee, and maybe ceder? Second third is like the first only stronger and the without the ceder part. In the final third of the cigar not much happens. I can feel in my chest that Im hyped up, Like I have taken pre-work out, guess it’s the nicotine. It’s a fun cigar, one-dimensional but consistent and reliable. I will probably never smoke more than 1-2 NC per every other month but when I do this will be one. It’s like Coca Cola, not that fancy but you know what you get and from time to time it’s what you want. Yes, didn’t know the english name but yes that’ts the one! Hoyo de Monterrey Le Hoyo de Dauphin 1999 First from a box i got last year, got a hold on two boxes and today was the day to try one. Im a fan of smaller RG so I was looking forward to this. Started off bitter and very potent. A bit surprising for a cigar that is 20 years old. It reminded me of a strong creamy espresso, I’m more of a coffe with milk kinda guy but hey i’m not complaining. The draw was a bit tight so I took a he made easy draw and opened up the cigar. Second third had that balmy coat a lot of vintage cc usaly exhibits. The cigar lost in strength and settled down. Mild to medium with a taste of black seed bread. Final third was just strong, deep with a taste of menthol and bitterness. h. ala replied to 99call's topic in Cigars Discussion Forum "the water hole"
When I don’t have the commitment to smoke a whole cigar these are perfect. MC puritos that smokes great. Dare I say almost like something aged? 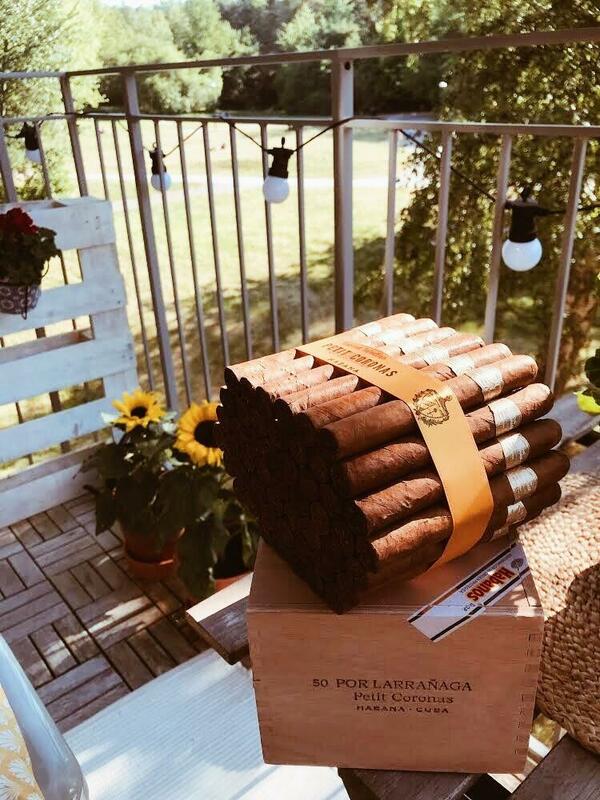 h. ala replied to h. ala's topic in Cigars Discussion Forum "the water hole"
Yes, antal is swedish for quantity, I only have one cabinet with boxes, the other one is empty so I don’t keep track on location. Been thinking of calculating value, its a bit tricky. Some of the boxes are bought by Botls for a lump sum and are aged. How do I value those? I dont’t update everytime I smoke, but from time to time I’ll update. The reason I have this is that I forget what I have. With this I can get a bird’s-eye view on my collection. It’s also a bit of the fun, collecting, cataloging and of course smoking.